Years of delays and reshoots and bad press, and this was the best they could come up with? The Brad Pitt-led zombie apocalypse movie World War Z is in the process of digging itself out of a hole of its own making, having appeared to be flying off the rails many times since it first went into production last year. But the recently debuted mini-teaser and now this logo aren't providing a whole lot of reasons for hope. Take a look at the logo below and see what I mean. This bare-bones design appeared at the film's official Facebook page, with the promise of an official trailer premiere coming in two days. We got a sneak peek at that trailer already, though, thanks to Entertainment Tonight, which premiered a first glimpse at the trailer with their customary irritating voiceover and choppy editing. It seems the new trailer will be the same one I caught at a special Paramount presentation a few weeks ago, showing off both the beginning of the zombie invasion and the terrible aftermath of what happens next. The zombies of this film seem to be less about individuals eating your brain and more about absolute swarms of them clambering over any barrier you might have constructed. 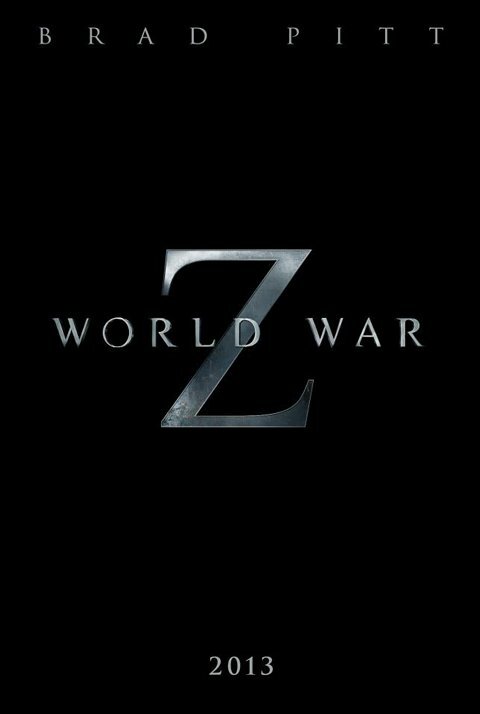 Personally, that sounds pretty terrifying, and I'm hoping World War Z winds up showing off a lot more of the goods than this logo suggests. It's not all that fair to judge a book by its cover-- or, in this case, a movie by its logo-- but World War Z has an uphill battle. Here's hoping the trailer on Thursday is enough to wow people and make World War Z a summer blockbuster worth anticipating. The movie opens June 21 next year.